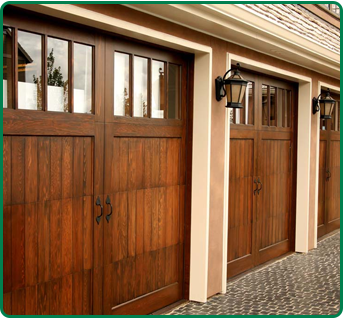 Make your home the best-looking one on the block by installing traditional wood garage doors. In Katy, TX, Katy Overhead Doors installs naturally beautiful and dependably durable wooden garage doors. They are guaranteed to make a distinct impression that surpasses the appearance of ordinary garage doors. Most importantly, we customize your door to match your home's architecture. After we install your new doors, they will add value and curb appeal to your property. Enjoy the beauty of wood without ever worrying about rot or maintenance. Composite garage doors are not only eco-friendly options, but they are very affordable as well. We install these garage doors that come in many styles. In addition, you'll enjoy multiple designs and insulation options. Once you paint these doors, they require very little maintenance. They do not crack, split, or rot and they last for many, many years. You want a new garage door, but you don't want to wait weeks for it. When you depend on our garage door company, we respond quickly when you need wood garage door installation. For custom, high-quality overhead wood doors at affordable prices depend on us to install them based on your schedule. In addition, we offer a wide range of options to suit your needs—from simple wood doors to carriage-style doors. What does your dream door look like? We can install it for you. These aren't your average overhead doors. They look like all types of wood species, such as cedar and oak. Our experienced technicians install, replace, and repair all types of composite doors. Another added benefit of composite doors is that they are environmentally friendly. Most of them are made of recycled wood and resin. For composite garage door installation, contact us today. For more than five years, our wood garage door company has proudly served homeowners as well as residential customers. We pride ourselves on our commitment to fair prices, exceptional work, and outstanding customer service. Our owners have more than 10 years of experience in the industry. That means we know everything there is to know about wood and composite garage doors. Tell us what you want, and we'll work to ensure your goals are achieved. Contact us for wood garage doors that cater to your budget and style. We proudly serve residential and commercial customers in Katy, The Woodlands, Sugar Land, and Columbus, Texas, as well as in and around the surrounding areas.